A fine example of the precocious young horse that European champion stallion Zebedee can produce - he has all the hallmarks of an early running type. Shea honed in on the Zebedee progeny due to the stallion's remarkable record - over 100 two-year-old winners in his first three crops - and his proven bloodline through Invincible Spirit, sire of I Am Invincible. 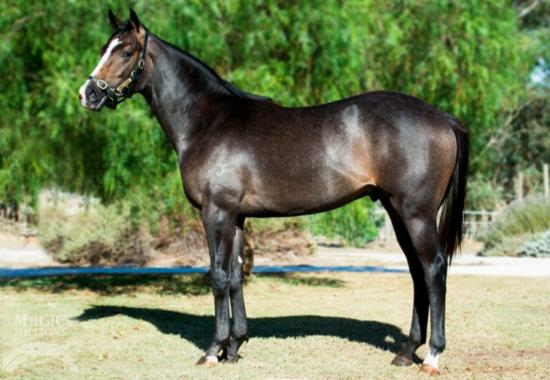 This horse can be owned in a package with the Zebedee x Burgundy Notes colt. Ambertone (f. by Ambidexter). 2 wins at 1000m, 1100m in 2017-18 in Aust. Taken the Road. 6 wins. See above. Luvthejourney. Winner at 1550m in 2017-18 in Aust. Sparkling Oliver. Winner at 1400m, Singapore TC Class 5 H.
Dangerous Song. Winner at 1550m in Aust. Screwcap - Toscafly (Sing.). Placed in Malaysia. Tosca King. 4 wins-1 at 2-to 1450m, VRC Elounda Bay H., 2d MVRC New Asia Singapore Trophy, 3d VRC New Racing Season H.
Shesalwaysawoman. 3 wins from 1300m to 1600m, WRC Speights H. Producer. Zalmona. 4 wins to 1200m, A$128,430, to 2017-18, SAJC Medallion Homes H., 2d SAJC Medallion Homes P., Gawler & Barossa JC Goldin Farms H., SAJC Junction H., Holdfast Insurance H., 3d SAJC Anthony Scopelitis H., Adelaide Galvanising H., John O'Neil OAM H., Ubet H., James Boag's Premium H.
The Kununurra Kid. 3 wins from 1200m to 1600m, 3d SAJC City of Marion H.
Opera Afloat. 4 wins to 1200m in Aust. Dacoto. Winner at 1250m in Aust. Nordic Empire (Wilander). 4 wins-1 at 2-to 1100m, A$233,390, to 2017-18, MRC Flemington Equine Clinic 2YO P., MVRC Mitchelton Wines H., Jeep 55 Second Challenge Heat H., 2d MRC HDF McNeil S., Gr.3, 3d ATC TAB Ipad App 2YO P., 4th MRC Vain S., Gr.3, SAJC Redelva S., L.
Bianconic - Future Baby (Sing.). 9 wins to 1200m, A$11,360, S$604,464, Singapore TC Open H., Kranji B S., Benchmark 83 H., Class 3 H., Graduation S., Kranji C S.-4 times, 2d SAJC Congratulations Clare Lindop 2YO H., Singapore TC Open H.-3 times, Benchmark 83 H., Kranji C S.-3 times, 3d SAJC Skycity Adelaide 2YO P., Singapore TC Kranji A S., Open H., Class 3 H., Kranji S.
Old Worlde. 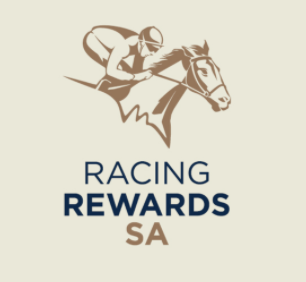 8 wins from 1000m to 1600m, A$93,895, SAJC Western Front H., Scott Group of Companies H., 2d SAJC Tooheys New H., Glenelg Football Club H., Tooheys New H., 3d SAJC Farmhouse Fresh SA H., CMA Recycling P.
Major Opus. Winner at 1200m in Aust. Calypso Singer. Winner. See above. Rompedor Libre (Rampart Road). 5 wins at 1100m, 1200m in Argentina, La Plata Especial Haras Abolengo, 2d La Plata Especial Santiago Lawrie, Handicap Jockey Club de Mar del Plata, Handicap Antartida Argentina, 3d La Plata Handicap Urbano de Iriondo, L.
Speed Fire (Firery Ensign). 3 wins in Argentina, 3d La Plata Clasico Jockey Club Brasileiro, L. Producer.